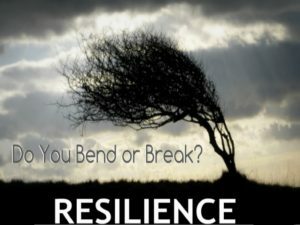 Resilient – The ability to withstand and recover quickly from difficult conditions. Able to recoil or spring back into shape after bending, stretching, or being compressed. Tending to recover from or adjust easily to misfortune or change. Strong and able to recover from damage quickly. The word resilient is often misused. I have found that resiliency is often used erroneously in place of “survive.” Just because you survive something, does not mean that you are resilient. Being alive does not equate to resiliency. You may be alive, but are you whole? Did you actually recover? Are you better? Stronger? Are you surviving or thriving? Survival is the first step. Thank God you survived. There was a time when I was just surviving. After my daughter passed away in 1995, I was just surviving. I refer to myself at that period of time in my life as “The Walking Dead;” alive, but dead inside. Now I am thriving, and walking in my purpose. My purpose today is to bring it to your attention that you may be merely surviving, and if so, I want to help you walk into your healing. I want you to display the characteristics of resiliency. The first step? Recognize that you have been hurt, wounded bruised, damaged, misused, judged, and/or abandoned. Have you gone through some thangs? Everyone goes through things, but those of us who have a story of triumph have gone through some thangs! Those experiences may have you stuck in survival mode. It could have started in childhood. Most of the women that I Coach and Mentor had difficult childhoods. Some would say they never had a chance, but I believe that no matter what, you do have a chance. You have faced difficult challenges, you survived, and you recognize that. Now, you have to make a mental decision that you want to heal. Did you know that not everyone wants healing? Some people have gotten comfortable and made a home in victimhood. They have a permanent residency in a home town filled with pity, depression, anger, misery, lack, sickness, entitlement, grief, and negativity. If you want to stay there, no one can do anything for you. But, if you want healing, go deep inside, and make the decision to change. That is a characteristic of resiliency, making a decision! It all starts with a thought. Next, change! DO SOMETHING DIFFERENT! If you are depressed, seek help. If you are abusing drugs or alcohol, get treatment. If you are mean and angry, let go. If you are tired of being broke, move up. Keep ending up in bad relationships, leave men alone for a while. 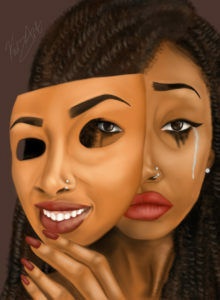 You keep picking losers because you are broken and damaged, and that is all you attract. Already struggling to take care of the children you have, do not have any more until your life completely changes. Do not bring another child into this world until you are in a position to give him/her a good life. In your attempt to do something different, start making plans and goals to strive for. What does different look like for you? Get some goals. Find a role model. Go back to school. Start a business. Find a church home. Stop abusing your children. Stop being with no good men. Lose that weight. Heck, start washing up and keeping yourself clean. Let’s start there! Making a change is important, but you also need deliverance. I see successful people all the time who have the degrees, the big position, fancy clothes, all the while they are still a broken little child inside. Why? Because they were never delivered. Ummm and I am not talking about “merely going to church.” Some of the most broken people have been going to church for 20+ years! What spirits have you picked up along the way? Depression, shame, lying, manipulation, laziness, perversion, jealousy??? Oh yes, we are going there today. Girl, you have picked up some dysfunctions that you need to be delivered from. If not, you will never reach your full potential. So, how do you get healing? Pray for it! God will send the answer. This is one that I can’t give you a solution that is one size fits all. It may be therapy, spiritual counseling, laying on of hands, self-help books, or something else of this nature. But I know this for sure, your deliverance is highly tied to your Will, and praying. You have to want it, and you have to ask for it. After recognizing your issues, making a decision, making steps towards change, and getting your deliverance, you will finally be able to “LIVE,” whatever that looks like for you. That is resiliency! Being alive is not good enough, you need to LIVE! Surviving is not enough, you need to THRIVE! Getting by is not enough, you need to be SUCCESSFUL! Be BETTER, STRONGER, HAPPIER, PEACEFUL, POSITIVE. Be RESILIENT! After Recognizing my issues , I made a decision to change for the better. After taking the right step’s in the the right direction I am able to live now. I Am RESILIENT! I Love This! Awesome! That’s what it’s about. Recognizing our issues and making a change! Thank you! Great as usual. We miss you at “the club!” LOL! Thank you! I miss you all too!